Google Map is currently being used by close to 1 Billion users every year. Google also owns Waze, a popular GPS, maps and navigation app that is highly popular in many countries including Southeast-Asia. 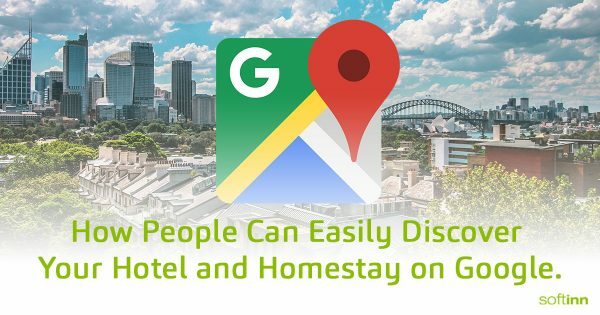 Making your hotel or homestay visible on Google Map is one of the ways to tell Google that there is an accommodation in certain area base on what a user search on Google. Every Google users can suggest a change including adding new places or changing the property address. This feature is very useful and beneficial as it gives your guests or your business partners an idea where your hotel or homestay is located at. Step 2: Search the area around your business property. Step 3: Right-click (or long-press on a smartphone) on the map and select Add a missing place. Step 4: Enter the name and address of your hotel and homestay in the fields provided. Make sure you include the city, state, and ZIP code if necessary. The more information that you include here, the faster Google will be able to verify the place’s existence. Fields are also available to add a category, phone number, website and business hours if they apply. Step 5: Submit the information. Take Note: Your suggestions will not appear on Google Map immediately. Google will take 1-2 weeks to review before it appears. You will receive an email regarding whether or not your submission was accepted within the two weeks. After Google has approved your business listing on Google Map, you can take control of the information displayed. Since Google enables anyone to suggest changes to a business listing on Google Map, some users might accidentally or intentionally change the information to your business. Claiming your business will ensure you have the full control of the information of your business so that the information displayed to your guest is always correct. There are a few steps need to be followed in order to get your free business listing of your hotel or homestay on Google. Step 1: Go to Google Maps and search for your hotel or homestay name, select Claim This Business. Step 2: Google will send you a code in a physical postcard to activate your business. Take Note: Make sure the address is correct. The postcard will take about 2 weeks to arrive at your place. Step 3: Go back to Google Business page, sign-in using the same Gmail account and you will need to verify your address by using the code provided in the mail that you have received. Now, you can start managing your hotel or homestay business information on Google. If any Google user tries to suggest changes to your business info you will receive an email from Google to verify or reject it. Surprise to see so many businesses forgot to claim their business listing on Google map.